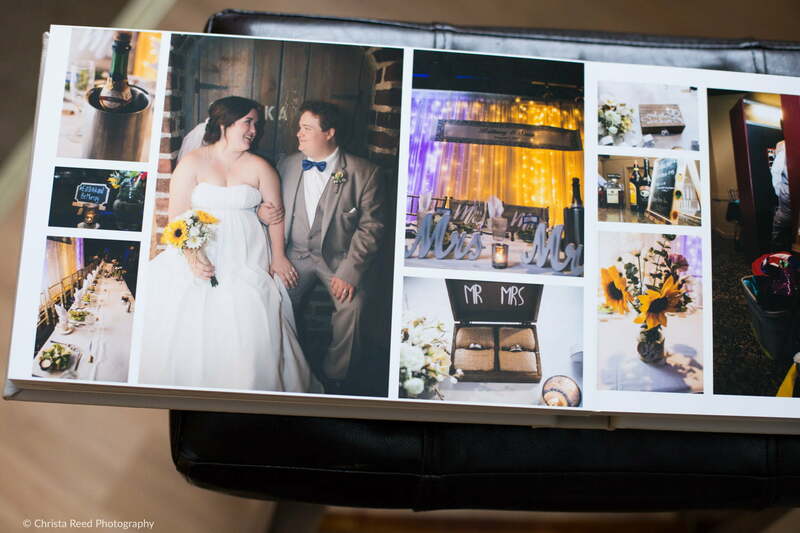 Brittany and Sean had their wedding at the Chanhassen Dinner Theatre. I was there for around 10 hours. (You can view more pictures from the wedding day here.) 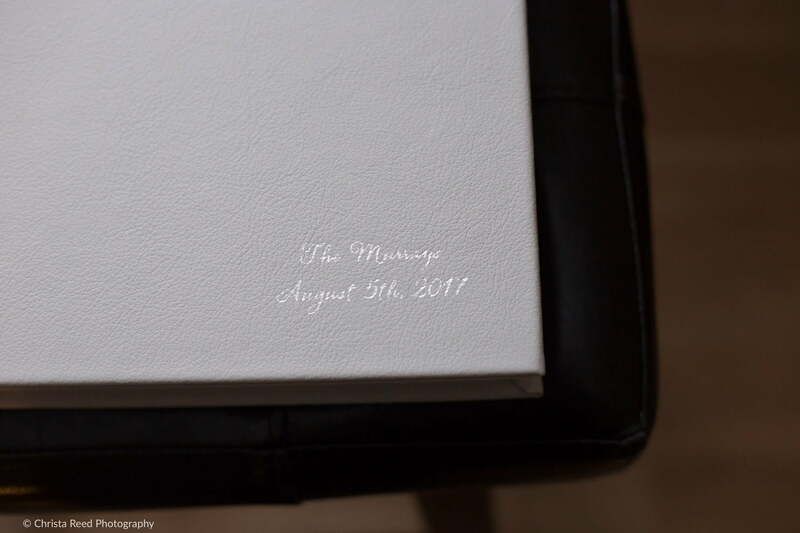 This wedding album was upgraded to over 40 pages, because there were so many moments that they wanted to have in it. I honestly was so excited to get it to them that I got my packing materials together and almost forgot to take any pictures! The printer did an awesome job on the color balance. The images are vibrant and in true to life color. More from the ceremony highlights. This is an 8x 12 album. 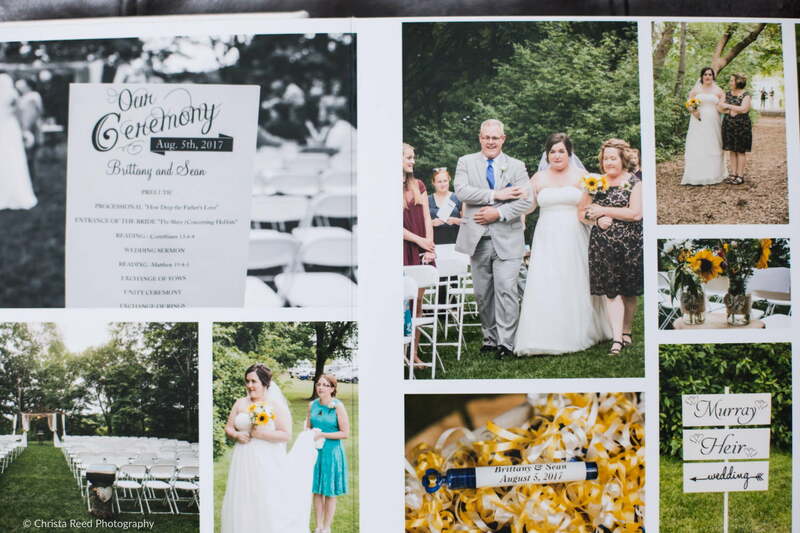 I love being able to design panoramic album spreads. 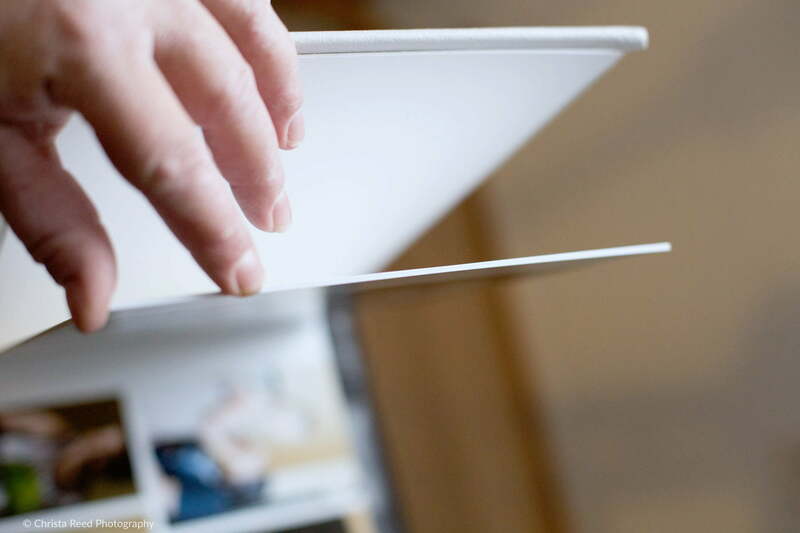 We can fit more photos, and the panoramic size doesn’t require me to crop pictures as often in the layout. Shots from the reception details, looking fabulous mixed with portraits we did while waiting for wedding party to line up for their entrance. Their wedding vows on the last page of the album. 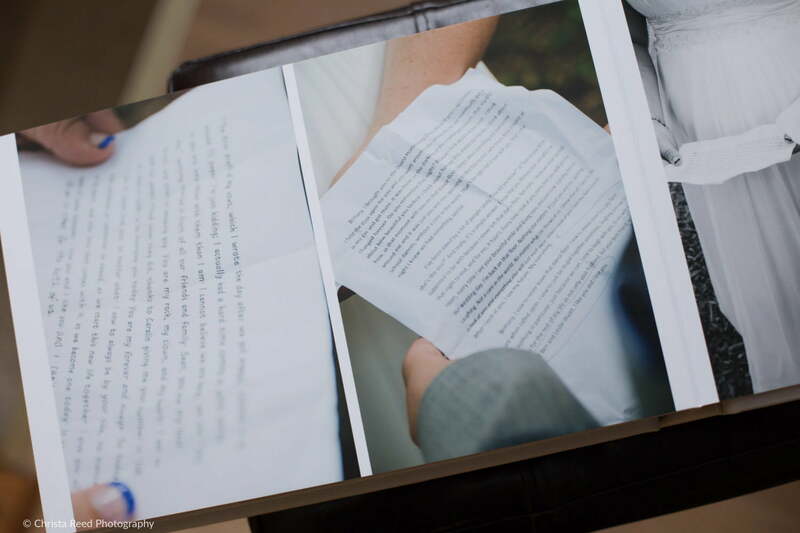 BIG pictures, and photographed with an 85mm lens (a more close up lens) so you can actually read the text on the paper. 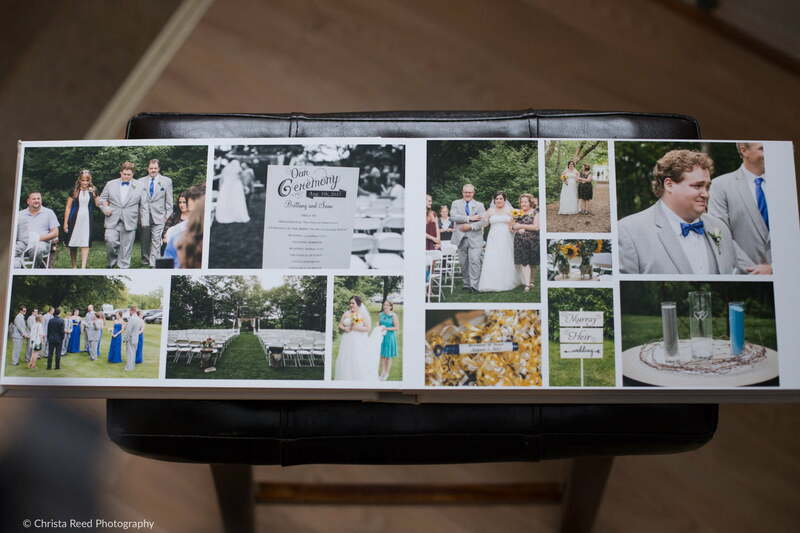 I include albums in my wedding packages, because I want you to have memories from the day that you can hold on to. Making an album is one of my favorite things. I know it’s fun to print pictures yourself if you like to DIY. Still, in the end of it all this album is so special, and so worth it. My printer does albums with as little as 10 pages, so there are options for everyone. If you’re interested in preserving your wedding day like this, contact me via my contact form page, because I’d love to help you.